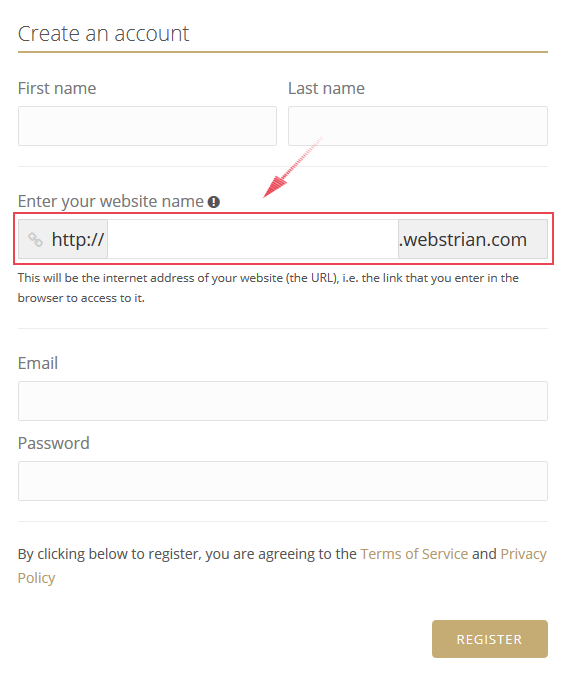 Webstrian subdomains, for example mysite.webstrian.com, give you the possibility to publish your website without purchasing new domain name. At the registration process, beside your email and password, you will have to provide a domain name for your website. This name will be a subdomain of webstrian.com. After the registration process, you can access to your website and to the admin panel through the subdomain that you have chosen at the registration.